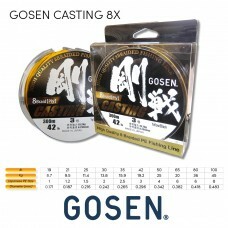 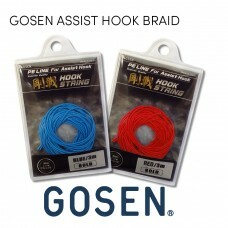 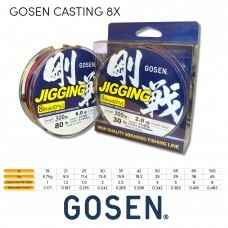 GOSEN 8X • Japanese made • Incredibly strong • Silky smooth • 5 Colour pattern &..
• Japanese made • PE Line for assist hooks • Incredibly strong with Core Thread •..
GOSEN CASTING 100% polyethylene. 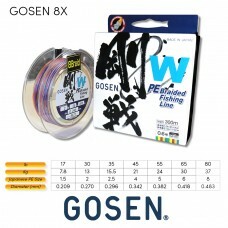 •Teflon coated casting braid for popping, stick baiting and pl..
GOSEN JIGGING •Omega grade polyethylene. 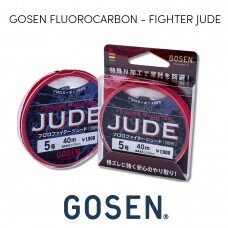 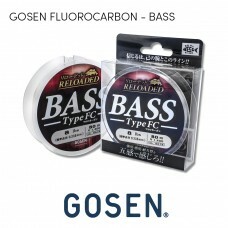 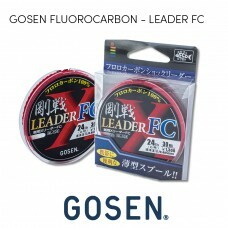 •20 to 30 % stronger per diameter than standard G..
Gosen Fluorocarbon - Reloaded Bass • Japanese made• High abrasion resistance• Near in..
Gosen Fluorocarbon - Fighter Jude • Japanese made• High abrasion resistance• Near inv..